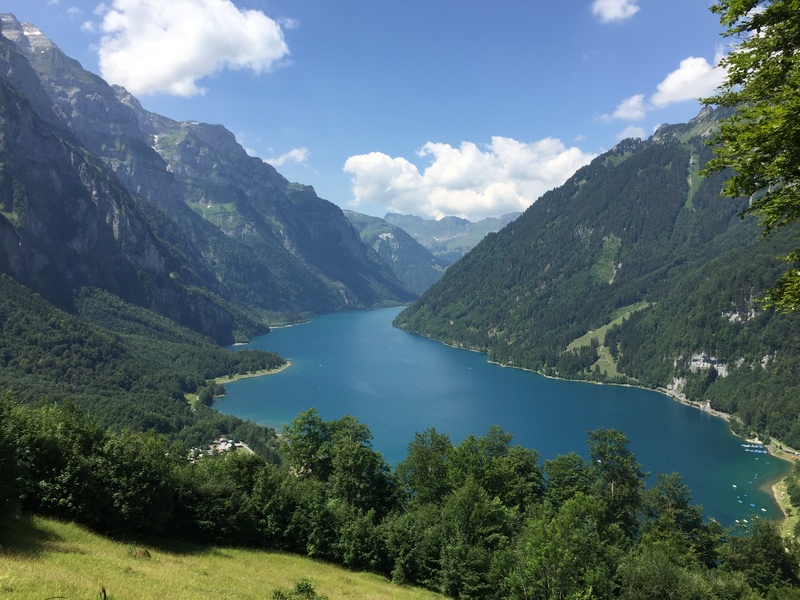 This entry was posted in Photography, Pictures, Switzerland and tagged Canton of Glarus, Klöntal, Klöntalersee, Photography, Picture, Schwammhöhe, Switzerland by Erich Styger. Bookmark the permalink. Beautiful area, great shot. I presume the slide blocked off the valley. Yes, the slide blocked the valley. The picture has been take off the top of that slide hill. I live in Oregon which has some of the most beautiful scenery in the U.S. Here is a photo of Walowa Lake near Chief Joseph and Hell’s Canyon, also formed by a melting glacier. What’s interesting is that the village towards the Walowa mountains is entirely done in Swiss architecture. In fact, the Walowas are nicked-named the Swiss Alps of America.